I didn't take this photo but REALLY wish I had. 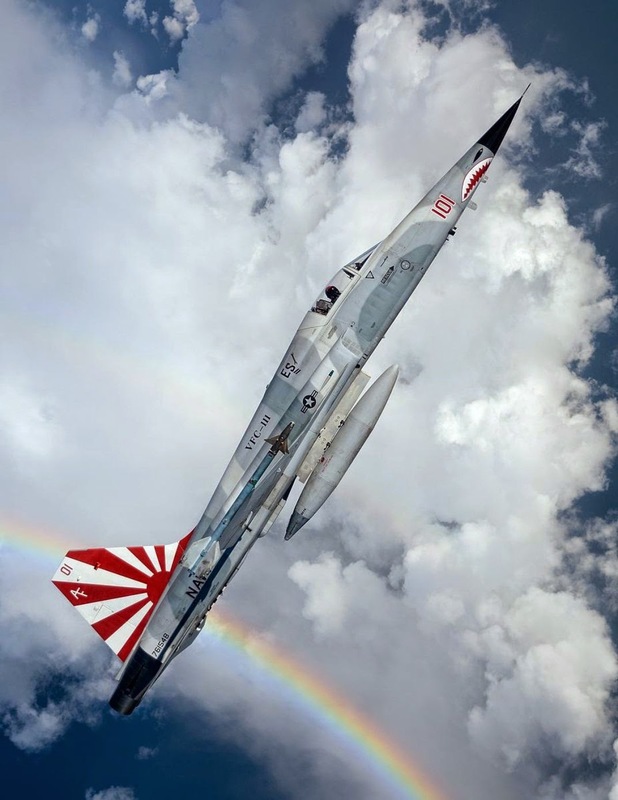 It's a US Navy F-5N Tiger of the VF-111 Sundowners squadron based at NAS Key West. These old Vietnam era fighters are still used to simulate Russian MiGs in air-to-air combat training against front line Naval and Air Force squadrons. Most folks recognize them from the 1985 movie Top Gun, which used a handful of F-5s painted solid black as the bad guy's fictional MiG-28. Back when I was guiding down in Key West these sleek little jets were a common sight in the skies over the western flats, usually in formation with the more modern and larger F-14s and F-18s. One of my semi-regular clients was a pilot with the Sundowners and I constantly tried begging and bribing him with free fishing for life if he'd just take me up for one short ride. Sadly, that never happened. Photographer Jose Ramos did manage to snag a ride and got this awesome shot, which is currently a finalist in Air and Space Magazine's annual photo contest. It's also my favorite so check them all out and vote for yours here.